The NDC is responsible for the promotion and assessment of services provided by the Executive Yuan and its affiliated agencies of all levels in order to guide agencies to comprehensively improve service quality and respond to public demand and social expectations. The “Proposal for Innovating Government Service” was lanuched in 2008 to implement three core objectives in agencies’ daily work of serving the public, namely, “continuously promoting services to public satisfaction,” “ensuring the people’s right to know and their right to use information,” and “encouraging agencies to provide innovative integration services.” At the same time, the “Government Service Quality Award” has been set up to competition rather than assessment, thereby guiding agencies to take the initiative to examine existing service measures, use various innovative integration strategies, and provide better services. “Government Service Quality Award” is the award of the highest honor for government agencies engaged in service quality promotion. The award participants include the Executive Yuan’s affiliated agencies of all levels, municipalities, and county (city) governments and their affiliated agencies of all levels. The award coverage, based on service equality and performance attribute, includes “first-line service agencies” and ‘service planning agencies.” A “first-line service agency” refers to an agency most directly and most frequently providing services to the public in daily work, which adopts overall performance assessment, focusing on efficiency and quality of actual services provided. A “service planning agency” refers to a central competent authority or local government adopting project performance assessment to coordinate and plan service operations, focusing on the actual effectiveness of service projects and solutions adopted. 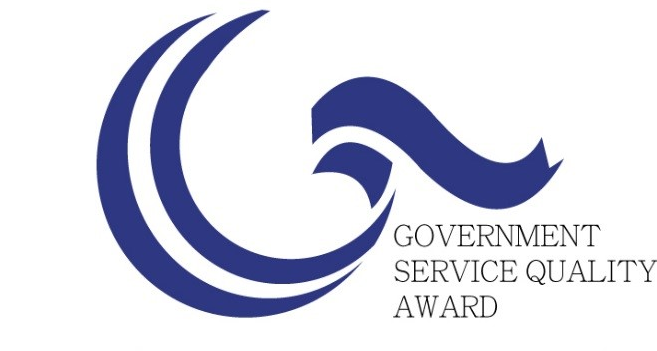 The “Government Service Quality Award” has been awarded seven times from 2008 to 2015. Of the 1,143 agencies that have participated, 203 outstanding service agencies have been selected, accounting for the overall winning rate of 18% and a full demonstration of the spirit of stringent quality selection. The winning agencies cover almost all public service agency types, including household registration, land administration, taxation, environmental protection, healthcare, police, fire, tourism and recreation, etc., setting a good example and benchmark for all types of agencies.